Nadav Guedj passes semi-finals ahead of Saturday night showdown, bringing Israel to finals for first time in 5 years. 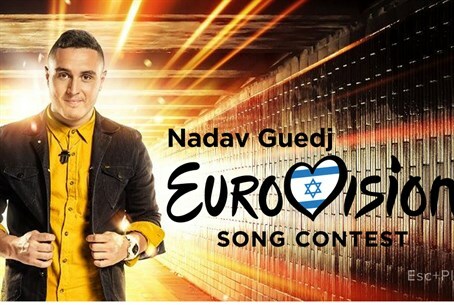 Israel is back on the European music map as Nadav Guedj, at the tender age of 16, passed in the second round of semi-finals on Thursday night and made it to the finals of the 2015 Eurovision contest with his song Golden Boy. The advancement to the finals comes after a disappointing five years in which Israel did not reach the finals. Speaking to Yedioth Aharonoth shortly after his accomplishment, Guedj said, "I was really hoping to advance, I got off the stage feeling very good. All I wanted was to make the people in Israel happy." This year's contest, which is being held in Vienna, Austria, will conclude with the finals on Saturday night. "The feeling ahead of Saturday is good, we have rehearsals planned throughout the weekend and I'll arrive at them with full concentration to give the best performance I can give," said the young Israeli singer. Video of Guedj's semi-final performance can be seen below. Aside from Israel nine other countries passed the second semi-finals including Latvia, Sweden, Azerbaijan, Poland, Lithuanian, Montenegro, Norway, Cyprus and Slovenia. Also competing in the finals will be the countries that passed the first round of semi-finals, among them Albania, Armenia, Russia, Romania, Hungary, Greece, Estonia, Georgia, Serbia and Belgium.